Amsterdam based social enterprise BYCS organised a summit of the international Bicycle Mayors from 8 to 14 october in Mexico City. 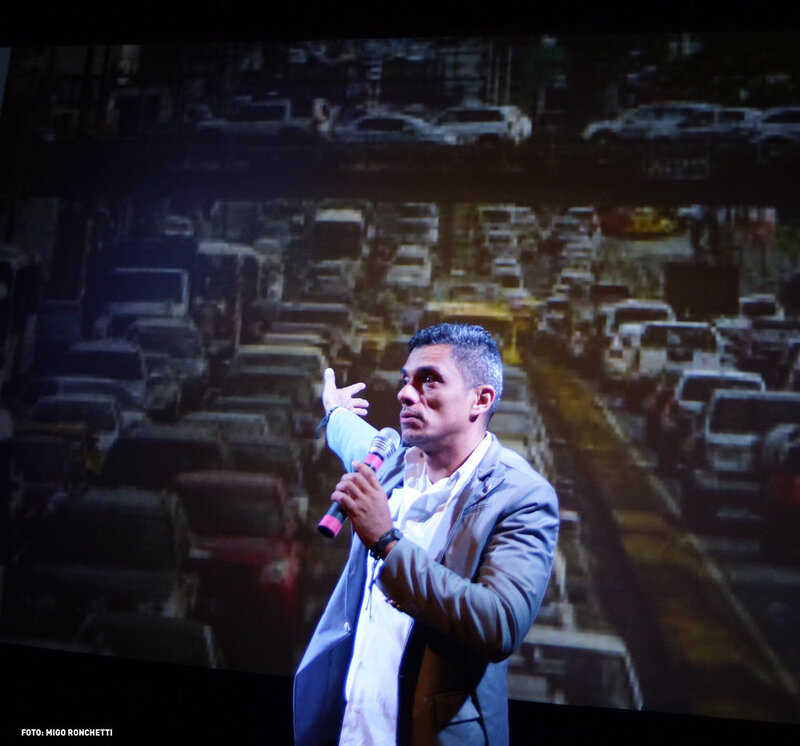 The six day event brought the changemakers together to discuss challenges, share solutions and identify ways to radically accelerate city transformation through cycling. The event was fruitful and included a visit to the Dutch embassy in Mexico; a treasure hunt exercise that led to valuable insights on city problem solving, and the signing of a Memorandum of Understanding (MOU) between the Bicycle Mayors of Bangalore, (Sathya Sankaran) Mexico-city (Areli Carréon) and BYCS founder Maud de Vries. One of the main events of the Summit was a treasure hunt through Mexico city in which the Bicycle Mayors went through the city by bicycle, taking in the challenges it faces and using Design Thinking methods to think of ways to tackle them, in Mexico City and in any other city that faces the same issues. The exercise led to many new insights on solving environmental, infrastructural and social issues. On day two, a large public event was held as part of the summit, which was opened by the Dutch Ambassador of Mexico, Margriet Leemhuis. After the brief introduction the Bicycle Mayors held Pecha Kucha style presentations on innovation, infrastructure and policy. 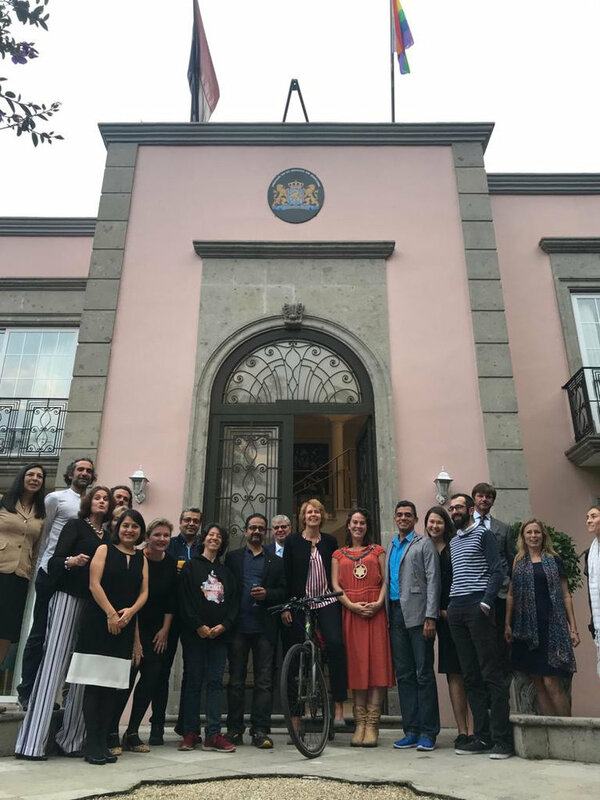 Another summit milestone was a visit to the dutch embassy in Mexico, where the bicycle mayors met the dutch ambassador, Margriet Leemhuis. The bicycle mayors were very grateful for support they got from the embassy. Another promising outcome of the Summit was that the Bicycle Mayors of Bangalore, Sathya Sankaran, and Mexico City, Areli Carréon, along with BYCS founder Maud de Vries, signed an MOU in order to explore further opportunities in scaling the role of the bicycle in making both megacities happier and healthier places for their inhabitants, while spending significantly less resources as other modes of transport demand. Areli Carréon, Bicycle Mayor of Mexico City, founder of Bicitekas and one of the ten Women for Climate of Mexico City, wants to start with Bike to Work and simultaneously kick off the 'Go Cycling’ campaign that BYCS just started in the business district of Amsterdam South. Carreon and Sankaran are inspiring their governments to visit each others cities, using their MOU. 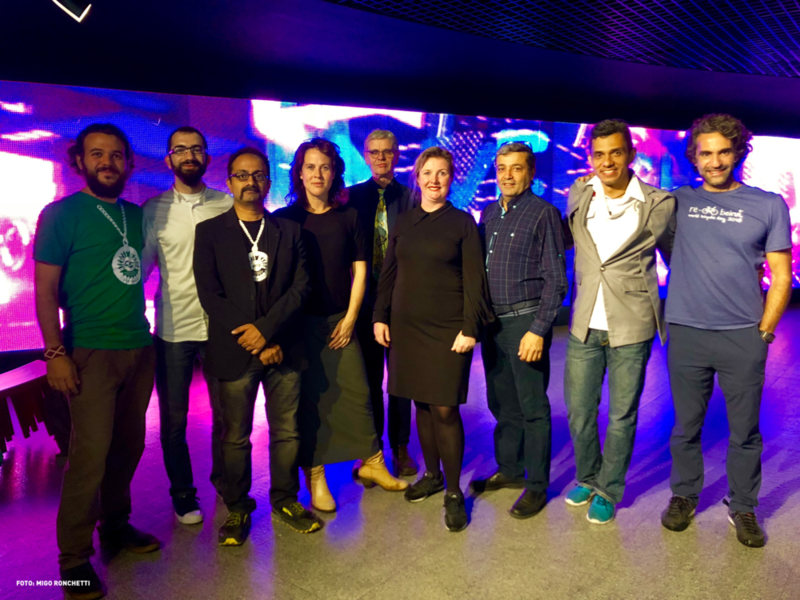 The summit concluded with a closing ceremony, in which the Bicycle Mayors wrapped up the learnings from the summit and shared what strategies they plan to take back to implement in their own cities. Thereafter they joined in a group bike ride through Mexico City as part of its car free day. If you’d like to know more, head over to bicyclemayor.org. The Bicycle Mayor summit was initiated together with BAM Infra, and Alcaldía de la Bicicleta CDMX, and supported by Centro de Cultura Digital Bicitekas, Brompton, Concepto Ciudad and CityEs.